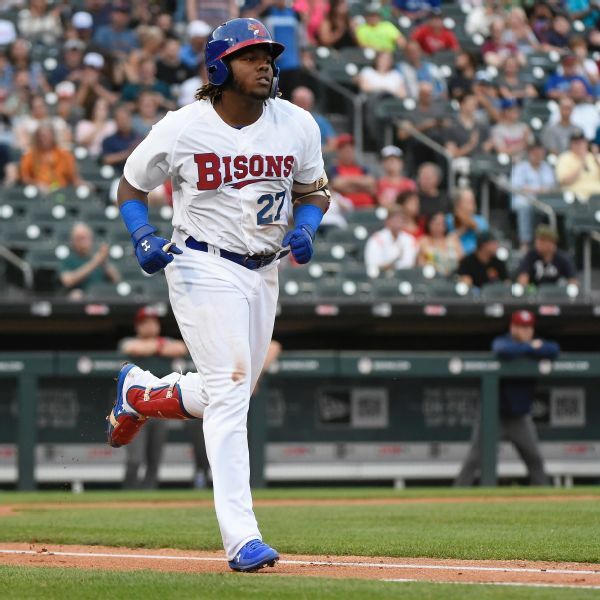 Vladimir Guerrero Jr. smashes a home run to deep left field for a 441-foot home run in Buffalo. Guerrero (oblique) will report to Triple-A Buffalo, according to Jesse Sanchez of MLB.com. Who swings like The Kid? Who plays with No. 24's flair in the field? 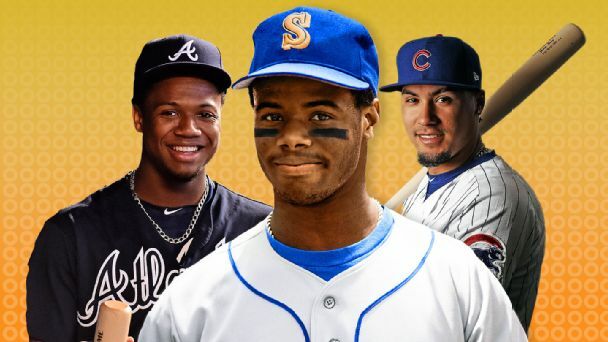 To celebrate the 30th anniversary of Ken Griffey Jr.'s major league debut, we judge how baseball's biggest names stack up to Junior. 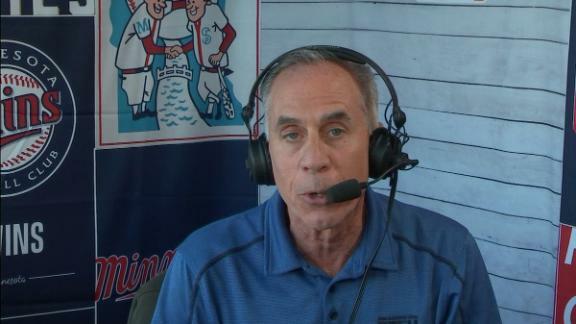 Tim Kurkjian explains why he doesn't consider Vladimir Guerrero Jr. a top-100 player yet but gushes about his potential. Buster Olney expects Blue Jays prospect Vladimir Guerrero Jr. should be promoted to the MLB by mid-April. The highly touted Blue Jays phenom showed up early for fielding drills and BP and talked about using a bat much like his father's. 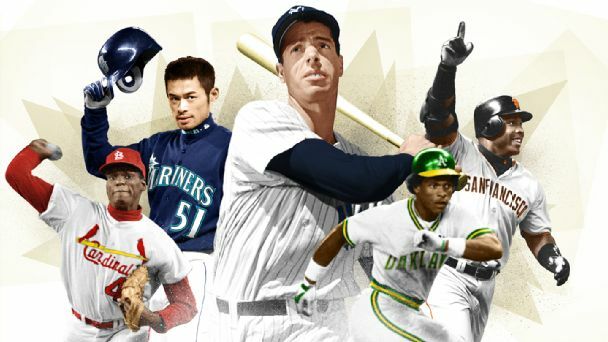 Which of baseball's most unbreakable records might actually get broken in 2019? 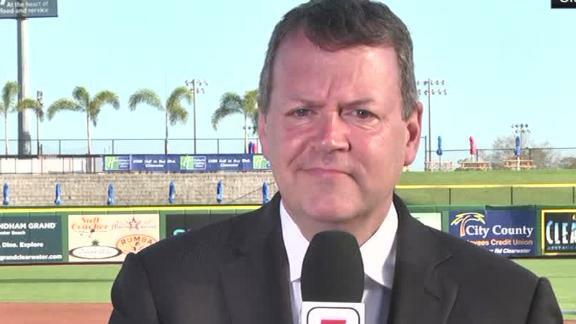 74 home runs? 384 strikeouts? 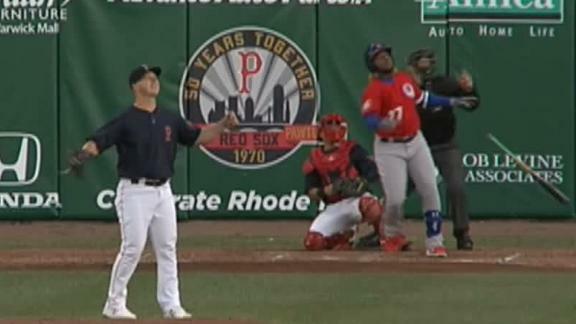 A 57-game hitting streak? History could be made this year, but some standards are more attainable than others. 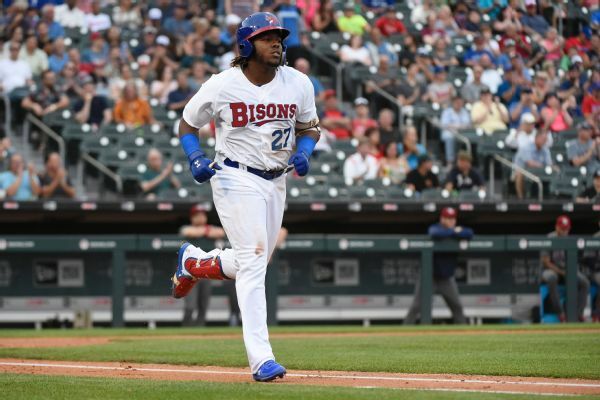 MLBPA calls out Jays for not calling up Vlad Jr.
Nineteen-year-old Vladimir Guerrero Jr. has torn up the minor leagues this season, but has failed to get called up to the majors, something the MLBPA says is not a business decision and is "bad for the industry." 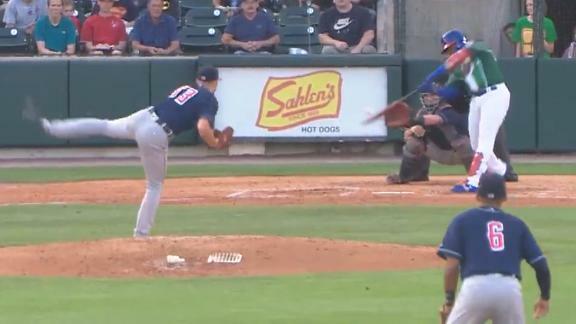 Vladimir Guerrero Jr. continues his hot stretch as he hits a big fly in the fourth consecutive game. 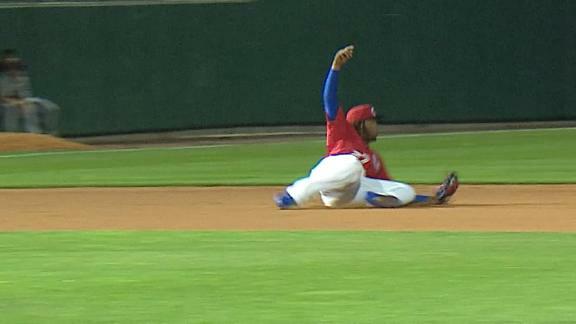 Vladimir Guerrero Jr. slides to field a grounder, then tosses the ball to first to get the out. 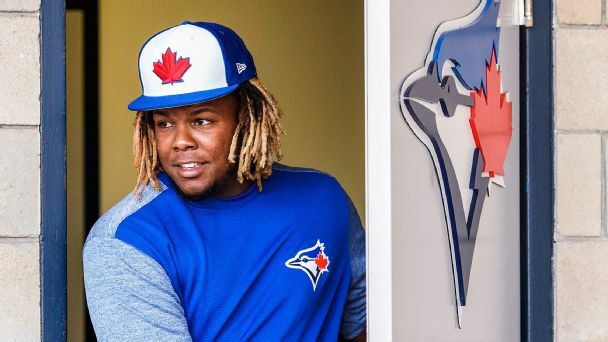 Top Blue Jays prospect Vladimir Guerrero Jr. said spending last weekend in Cooperstown reminded him how much work it took for his father to earn induction to the Hall of Fame.